As a home seller, it is important to do everything possible to transform an ordinary kitchen into a comfortable, attractive setting. With an awe-inspiring kitchen, you may be able to differentiate your house from others that are available in a competitive real estate market. Plus, your house&apos;s kitchen might even lead some homebuyers to submit offers immediately following a home showing. Clearly, a top-notch kitchen can make a world of difference when you sell your house. But how can you determine whether a kitchen overhaul is necessary? Here are three questions to consider before you embark on a kitchen renovation. 1. When do I plan to sell my house? If you intend to sell your home quickly, you may have limited time at your disposal. Therefore, a complete kitchen overhaul may not be an option. On the other hand, if you have several weeks or months to plan ahead, it may be worthwhile to evaluate your kitchen and find ways to improve it. Consider your home selling timeline closely. That way, you can examine various home improvement projects and determine whether a kitchen renovation is a priority. 2. How much money do I have to complete a kitchen renovation? A kitchen renovation can include everything from simple upgrades to a massive overhaul. As such, the costs associated with a kitchen renovation may vary. Assess your home improvement budget and plan accordingly. If you have the funds available, you may be able to revamp your entire kitchen. However, if your financial resources are limited, you may need to consider cost-effective measures to enhance your kitchen. Remember, there are many quick, easy ways to bolster your kitchen. Wiping down the walls and ceiling can help your kitchen dazzle. Meanwhile, repainting the kitchen walls and mopping the floors also provide simple, effective ways to improve your kitchen&apos;s appearance without breaking your budget. 3. Is a kitchen renovation worth my time? A home appraisal may prove to be exceedingly valuable, particularly for home sellers who are on the fence about completing a kitchen renovation. During a home appraisal, a property inspector will examine your residence and provide a report that highlights your house&apos;s strengths and weaknesses. This report can help you establish a price range for your home. In addition, the report may provide you with insights into whether a kitchen renovation may enable you to boost your home&apos;s value. Lastly, if you&apos;re still uncertain about a kitchen renovation after a home appraisal, a real estate agent may be able to provide extra support. A real estate agent understands the ins and outs of selling a home. Thus, he or she can evaluate your residence and help you decide whether a kitchen renovation is worth your time. 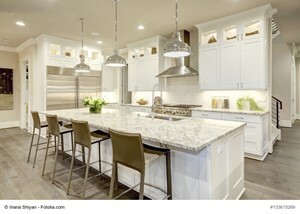 When it comes to a kitchen renovation, it is essential for home sellers to examine all of their options. Consider the aforementioned questions, and you should have no trouble determining if a kitchen renovation is right for you. Copyright 2019 Arizona Regional Multiple Listing Service, Inc. All rights reserved. Indicates a property listed by a real estate brokerage other than Realty Executives. All information should be verified by the recipient and none is guaranteed as accurate by ARMLS. Last updated 04/24/2019 04:35 AM.